Is the biggest glacier in Europe. It covers about 8% of the country and the average thikness is 400m. Under the ice-cap are still active vulcanos and in Grimsvotn vulcano, Iceland's most active since the Middle Ages erupted in 1996, 1998 and 2004. Seven central volcanoes are situated underneth the Vatnajokull ice-cap. 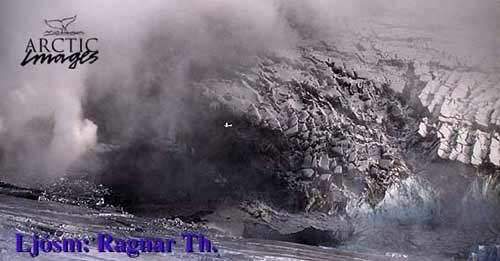 The Kverkfjöll is a large glaciated central vulcano on the northern edge of Vatnajokull, with a powerful highteo-nature ared where there are mudholes. Steam bowholes and a luke-warm lake. Undereneath the glacier is an ice cavern system several km long. Bright light, indescribable beauty, serenity. These words are often used by people to describe a near-death experience. And by people that we've taken to explore Europe's largest glacier. Heaven. Iceland. They're both a lot closer than you think. 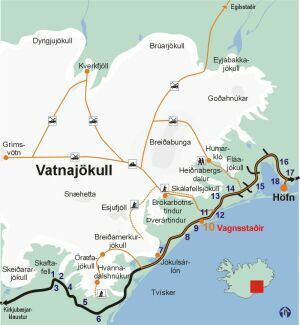 To learn more, explore www.vatnajokull.com.